The nutrients contained in human waste are contaminating Cape Cod’s groundwater, rivers, freshwater and coastal ponds with life-suffocating algae. If the pollution is left unchecked, fish kills such as this one in Falmouth’s Little Pond will become an increasingly common sight. 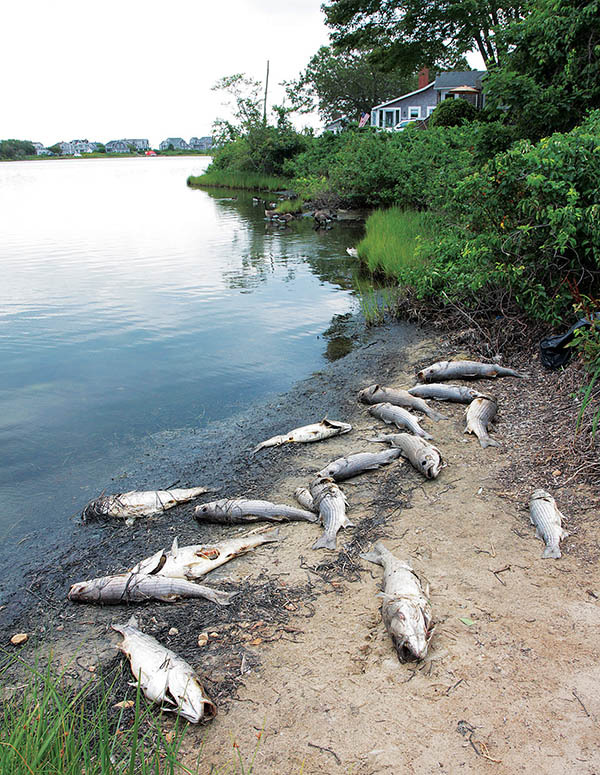 Sixteen dead striped bass were among dead fish found on the shore of Little Pond in Falmouth Heights in July 2012. 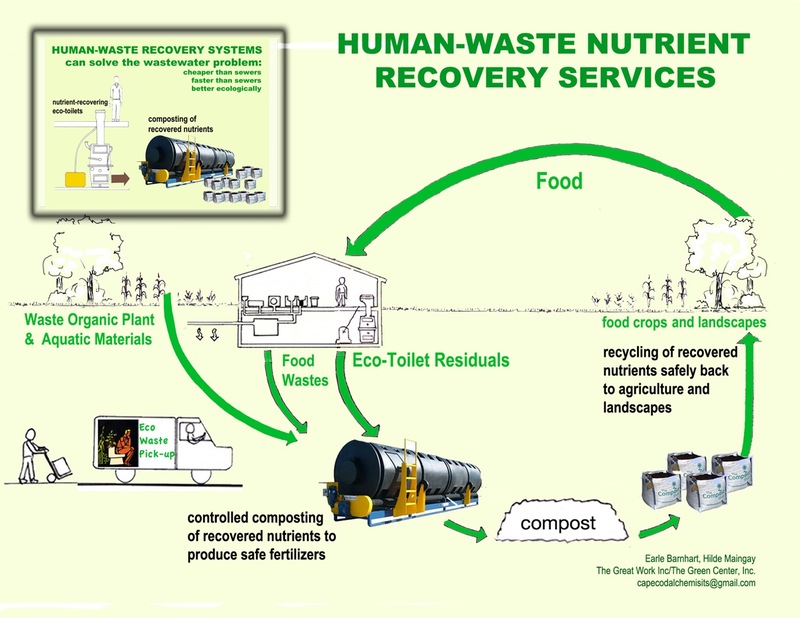 The nutrients in human waste have value as fertilizer. Almost all of the nitrogen, phosphorus and potassium that our bodies don’t use from food are excreted in urine and feces. These are valuable nutrients that can replace chemical fertilizers and are needed to grow our food sustainably for all generations to come. Instead of wasting nutrients, eco-toilets produce fertilizer products and offer an affordable long-term solution for managing human waste. Not only do they recycle nutrients, eco-toilets conserve water and energy. The result is a more resilient community that can readily adapt to future population and climate changes. These benefits can be achieved at a much lower financial and environmental cost than denitrifying septic systems or energy-intensive sewer systems. Read more about home-scale or community-scale nutrient recycling, or get started with our descriptions of types of eco-toilets!